A staggering 68.8% of Los Angeles voters in this week’s election pulled the lever against the anti-development initiative Measure S. Following the election—which, problematically, had a historically low turnout rate of 11.45%—there has been much debate within the anti-Measure S camp regarding what, if any, takeaways are to be had from the results. Taken together with this week’s passage of Measure H (an initiative focused on raising sales tax to fund housing assistance and development for formerly homeless individuals) and the passage of the transit-friendly Measure M and Measure HHH (a municipal bond-funded proposal to build 10,000 new supportive housing units, passed last November), the defeat of Measure S might suggest an electorate doubling down on a vision for a dense, equitable, and urban Los Angeles. The elephant in the room is that Los Angeles is one of the most unaffordable major cities in the world, an issue that has come to the forefront of civic discourse there as rents have increased year over year to the detriment of many deeply-rooted communities. The pro-Measure S side argued to some success that systematic corruption in the development community was fueling the production of luxury units. Those new luxury developments, Measure S proponents argued, were being pursued at the expense of rent-controlled housing in L.A.’s core communities. The “no” camp fought back by arguing that passage of Measure S would depress housing production so much that rents would grow worse still. In the end, the opposing argument—that the best way to keep rents from going any higher was to not hinder the development of more units—won out. Central in the efforts to fight Measure S was the relatively new group, Abundant Housing LA, a local collective of pro-housing advocates dedicated to building more housing of all types in the Los Angeles area. The self-described Yes In My Backyard (YIMBY) group fought Measure S the old fashioned way: phone banking, canvassing, and online activism, all to much success. The Architect’s Newspaper (AN) caught up with Mark Vallianatos, communications director for Abundant Housing to discuss the election results and what Los Angeles can make of the recent election results. AN: Now that Measure S has been defeated, what are some ways Abundant Housing LA plans to harness the growing momentum for a denser, transit-oriented Los Angeles? Abundant Housing LA was formed to advocate for more housing of all types (affordable, market rate, permanent supportive, co-ops, etc). We support good projects and better policies and have grown rapidly, showing that there was a pent-up demand for an active YIMBY group in L.A. Measure S forced us to switch gears. We focused on campaigning against it because it threatened to hurt Angelenos by raising rents even higher and by forcing more people, especially the working poor and younger residents, to leave L.A.
We are now excited to get back to our positive agenda of advancing housing. We will continue to support good developments that expand the number of homes in the city without displacing residents. And we hope to expand advocacy for better plans and policies. We are already engaged on a few transit and community plan updates, and will try to do more if the city follows through on accelerating community plans. We need these new plans to reverse the downzoning that has led to low vacancy rates and high housing costs. This is a tough sell, not just due to local opposition, but because planners are wary of adding more capacity than required to meet projected population growth. We also want to improve and simplify planning and entitlement processes so it is easier to construct housing in the region. AN: Ballot box Planning initiatives like Measure S have a long and problematic history in California and in Los Angeles, particularly. Is it time to revisit some of our legacy initiatives like Proposition U? Yes, we see upzoning of commercial corridors as key to allowing more space for housing without removing older rent stabilized apartments. We also want to figure out how to allow more new housing in existing residential areas. This requires a balance of preservation and allowing ‘missing middle’ housing types, so that not all new units have to fit into commercial and industrial sites. AN: There has been lots of debate recently regarding Los Angeles’s lack of affordable housing, including potential measures to fund its development by taxing the construction of market-rate units. Where does Abundant Housing stand in this debate? We strongly support identifying more local funding for the construction and preservation of deeded affordable housing. We supported City of L.A. Measure HHH, for example. We are on record opposing the proposed linkage fee because it taxes the construction of housing to pay for housing. We proposed that the City identify alternative sources of funds such as a parcel tax that are A) more board based and B) do not discourage new housing. Fees on parking and/or real estate recording may also be good sources of money that do not put the burden on home construction. AN: What role (if any) is Abundant Housing LA playing with regards to housing development affiliated with the expansion of the transit system? We have begun advocating on the City of L.A.’s new transit neighborhood plans as well as Community Plans in areas with expanding transit. 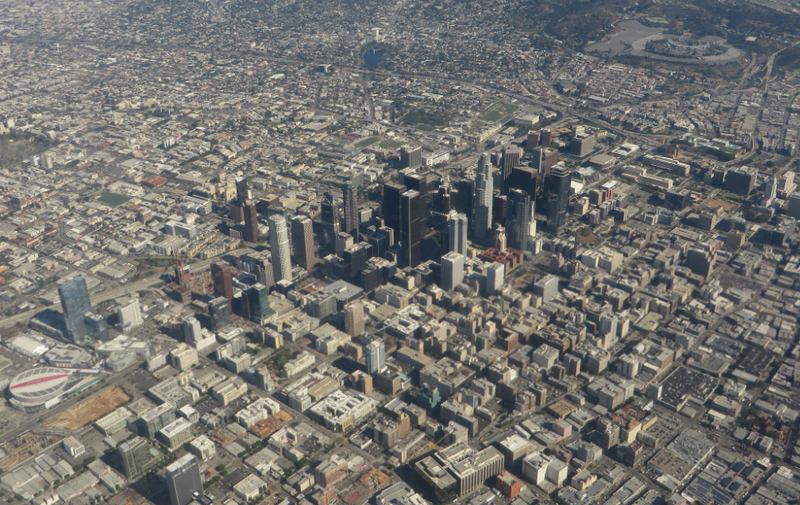 Our initial advocacy focuses on the Expo Corridor Transit Neighborhood Plan and DTLA 2040. We also plan to advocate around the transit neighborhood plans being developed for the purple and orange lines. For each of these plans, we encourage the city to significantly upzone to take advantage of the once in a lifetime opportunity of the re-establishment of rail transit in L.A. County. We also encourage density bonuses to incentivize affordable units. AN: What role can architects play in Abundant Housing LA’s mission? 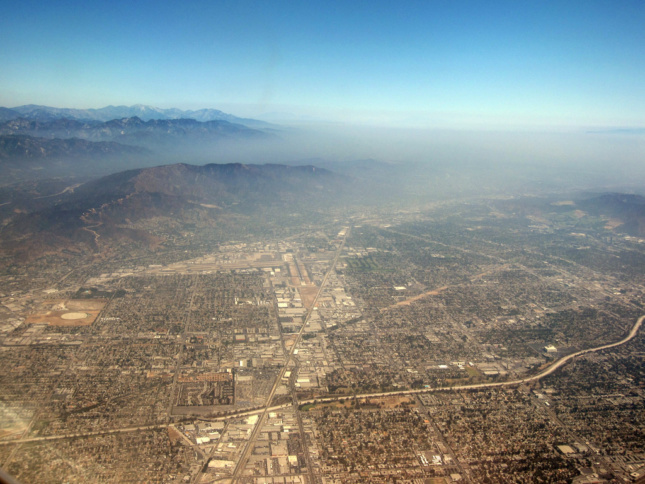 We welcome L.A. area architects as members and/or as resources on urban design. Most of our advocacy to date has been in the City of L.A., and we have aspirations to do more in other cities in L.A. County. We rely on members to be local advocates in their neighborhood or city. In addition to encouraging more housing, we are also interested in allowing and encouraging more types and scales of development, as well as innovative construction methods, in order to expand housing choice, reflect the diversity of the region, and encourage good urban form. We would welcome architects’ expertise on housing typologies, planning and building codes, and other insights on how L.A. can add housing, enhance quality of life, adapt to climate change, and support civic culture. As a relatively new volunteer organization, we get work done by empowering members to take the lead on projects that they are passionate about. We would welcome architects’ expertise. For more on Abundant Housing LA, see their website.